The Broward County Sheriff’s Crime Lab announced late Friday it is suspending doing some complex DNA analysis, a cornerstone of its operation. The development comes as the laboratory fights losing its accreditation from the ASCLD/LAB, the American Society of Crime Lab Directors, Laboratory Accreditation Board. 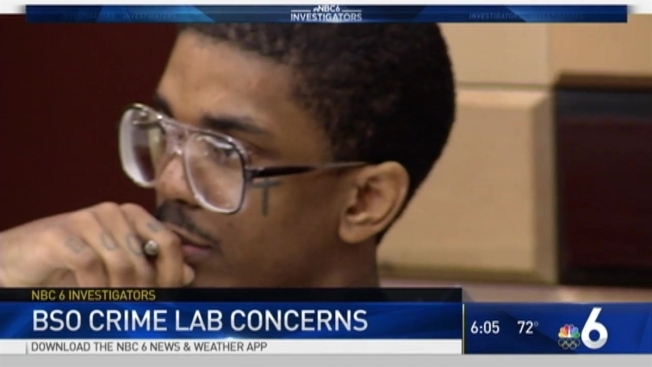 The ASCLD/LAB received a complaint about how the lab was analyzing DNA and attorneys expressed concerns that those mistakes could implicate innocent people. Defense Attorney Monique Brochu knew last year something was not right with DNA evidence coming from the Broward Sheriff’s Office Crime Lab. DNA was the only physical evidence helping place her client, Javon Gibson, at the scene of an April 2010 West Park murder. So, Brochu brought in forensic analyst Tiffany Roy who found the crime lab was misinterpreting DNA evidence. She filed a complaint with the ASCLD/LAB who agreed with her findings. Those findings include that the lab was using DNA portions so minuscule that they should be disregarded and were injecting bias into the process by considering the DNA of a suspect before deciding what portions of DNA recovered from evidence would be used to connect someone to a crime. Broward’s Chief Assistant Public Defender Gordon Weekes says the Sheriff’s Lab has been tipping the scales of justice unfairly against defendants. Brochu is fighting to keep the lab’s findings out of Gibson’s trial and Weekes’ office is doing the same with its cases. Both wonder if the crime lab’s mistakes have convicted innocent people. "It’s very likely that individuals have gone through this system on faulty evidence and ultimately have been convicted based on poor evidence," Weekes said. The Broward County Sheriff’s Crime Laboratory is appealing the accreditation board’s findings. A spokesperson said in addition to suspending its analysis of complex DNA samples - where more than one person’s DNA is found - the lab is coming up with a plan to correct its issues. The plan is expected to include buying new software used in analysis. If accreditation is revoked, the lab can continue to operate and produce evidence in court, but it’s findings would not be accepted by the FBI’s main DNA evidence.